A senior barrister calls for the Independent Inquiry into Child Sexual Abuse to investigate the Jehovah's Witnesses. In a special report for Sunday a senior barrister calls for the Independent Inquiry into Child Sexual Abuse to urgently investigate the Jehovah's Witnesses, as we hear allegations that the organisation has an extensive database of suspected paedophiles. Edward Stourton hears reaction to Pope Francis' visit to Egypt, as he shows solidarity with persecuted Coptic Christians, and reaches out to the Islamic world. The traditionalist Anglican organisation known as Gafcon - the Global Anglican Future Conference - have announced that they are consecrating what they call a "missionary bishop" to look after like-minded Anglicans in Britain. Jonathan Petre from the Mail on Sunday explains the development. Plans to transfer a Dublin maternity hospital's ownership to an order of Catholic nuns has resulted in fierce public opposition. Patsy McGarry from The Irish Times explains why. A prominent musician in India has called for a ban on all loudspeakers used for religious worship in public. Rahul Tandon reveals why this has caused a heated debate across the country. And Lucy Winkett reports on how the Reformation 500 years ago was spread by music as well as theological writings. Gafcon will be consecrating a "missionary bishop" to look after like-minded Anglicans. 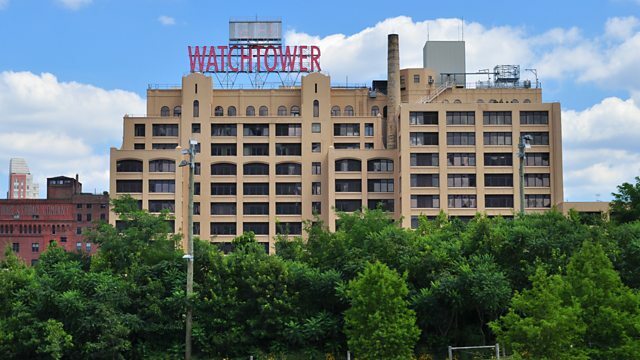 Should an Independent Inquiry into Child Sexual Abuse investigate the Jehovah's Witnesses?